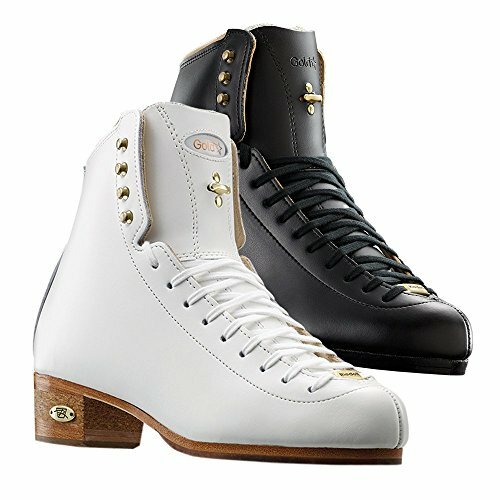 The Riedell 75 Gold Star Jr. ice skating boot, the junior version of our Style 1375 Gold Star, accommodates traditional sturdy most sensible grain leather lining, double layer TriFusion reinforcement and a 3rd layer of reinforcement that may be warmth molded for the easiest have compatibility. TriFusion strengthen balanced with the relief of froth padding and glove like have compatibility make Golds Star boots a most sensible competitor’s best choice. The bolstered tongue now comes with a breathable perforated lining over our part-inch of froth padding. This boot includes a taller toe box and internal forefoot flex for foot comfort on the ones very best landings. The 75 Gold Star Jr. has an cutting edge cork/leather heel that gives further weight loss, optimal strengthen and have an effect on absorption. The NEW water resistant and ultra-tricky outsole ensures that you’re landing on an enduring and cast foundation. NOTE: Blade now not included.